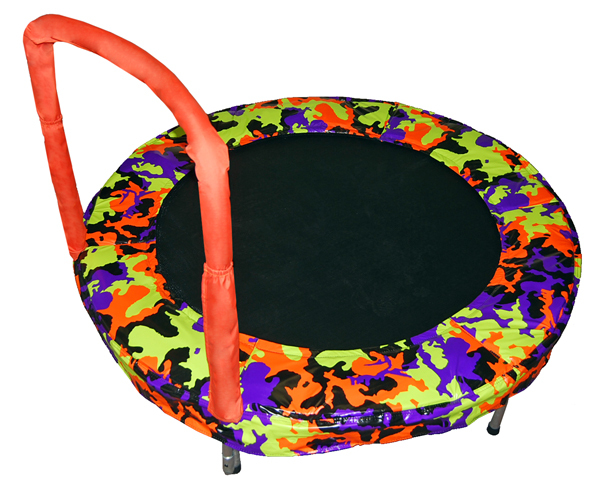 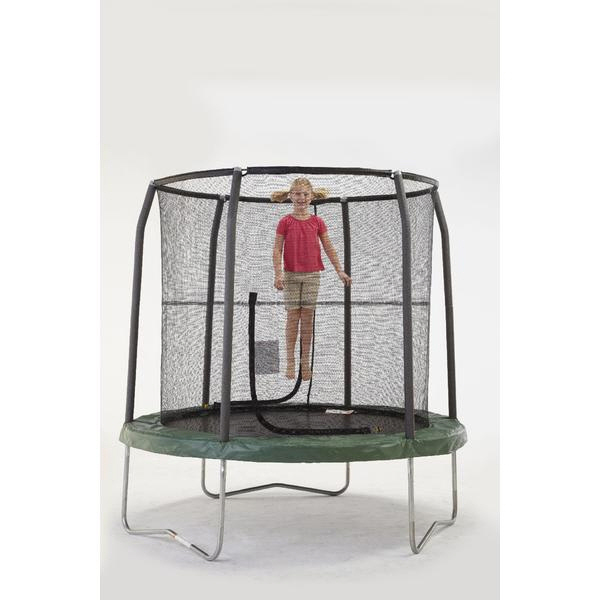 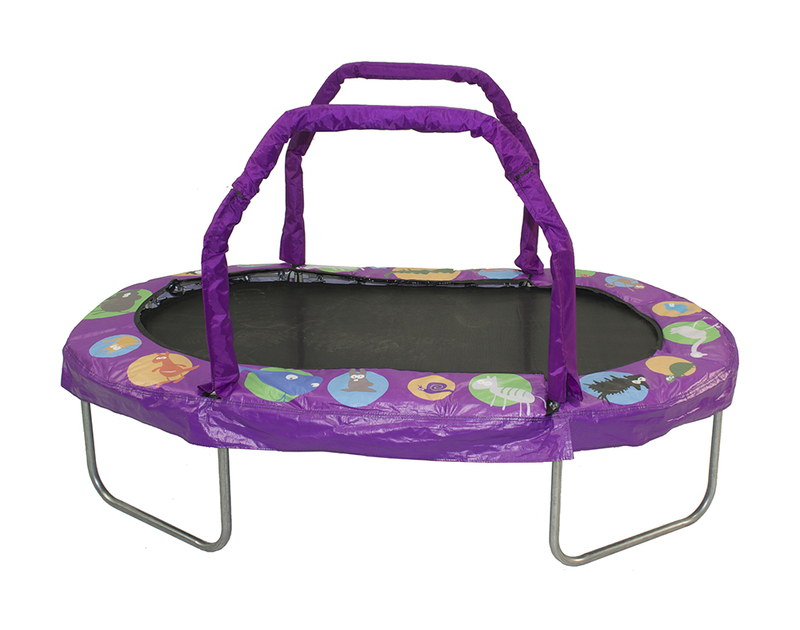 The 7.5ft Trampoline is a perfect fit for your child's first trampoline. 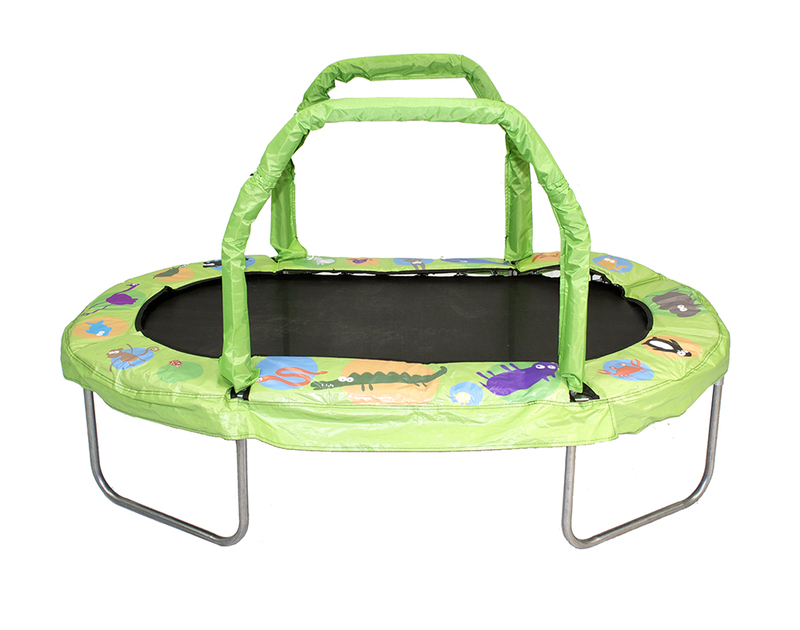 With an easy to assemble frame and our patented enclosure design kids will play all day. 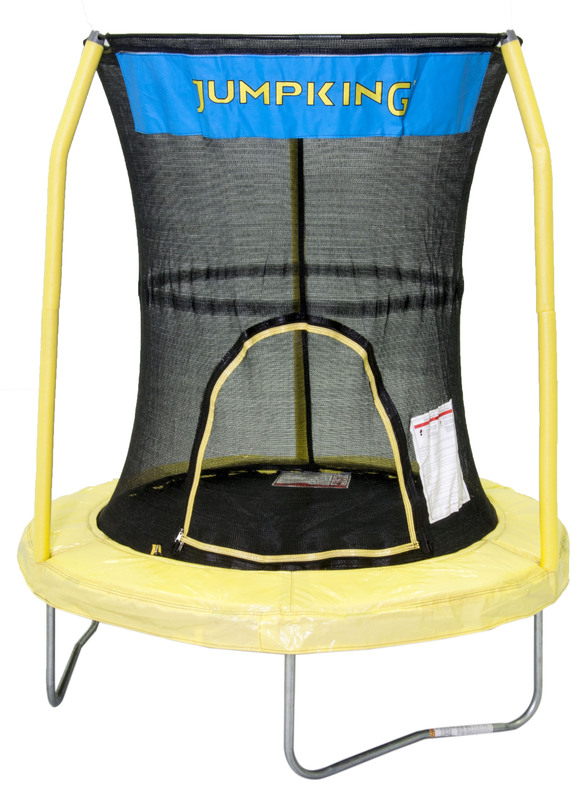 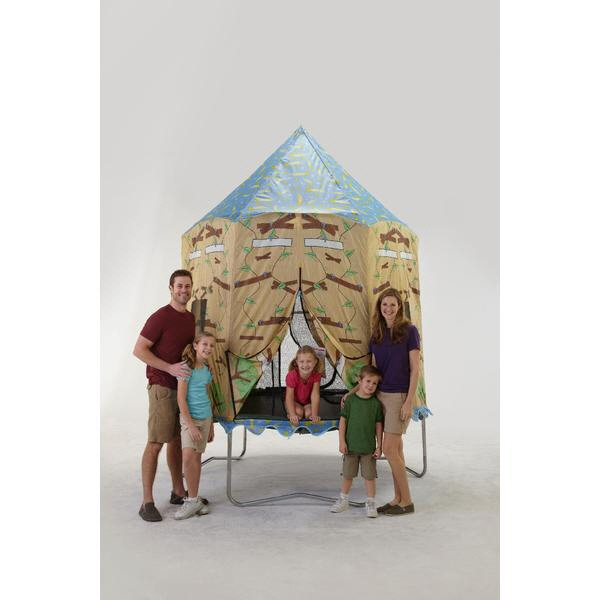 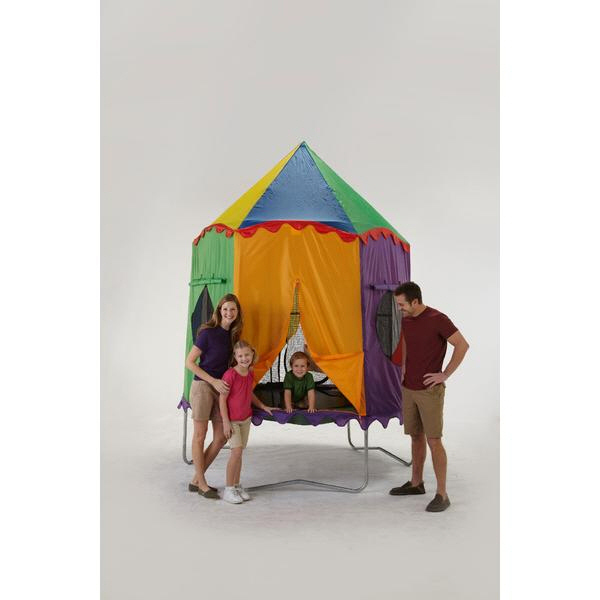 Create backyard adventure by adding one of the unique trampoline tent accessories! 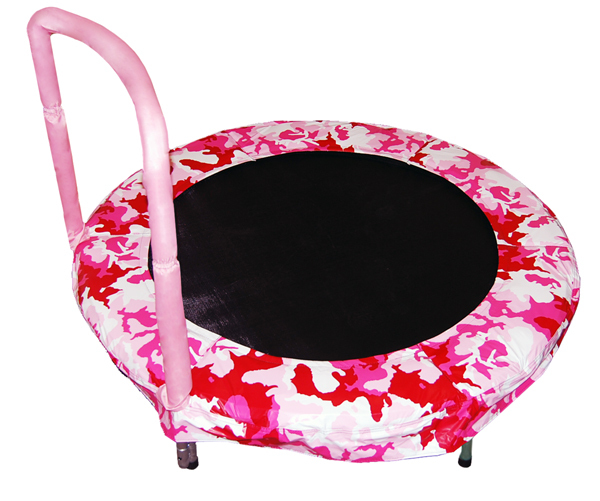 Dim - 120" dia. 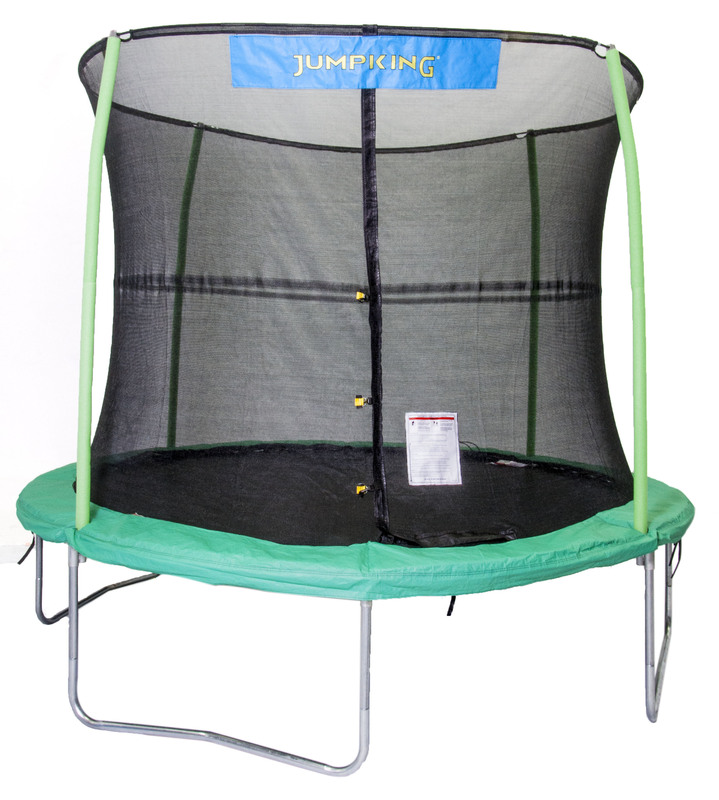 x 109.5"